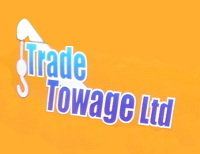 Trade Towage Ltd - For all year road car towing in Hawkes Bay! We have all aspects of car towing covered. Our emergency service means, that anytime, anywhere we can provide assistance. We have a team of professional drivers, a fleet of tow trucks that can accommodate your every need, they are experienced in both car towing and roadside assistance. And if you're worried about costs, we are competitively priced and our services are covered by insurance. We are there for you 24/7! Contact us at Trade Towage for more information. If you have any Breakdown and Towing needs we are the people to contact. We provide emergency vehicle towing, roadside assistance and storage services. We are on call 24/7 so feel free to give us a call and we would be happy to help.